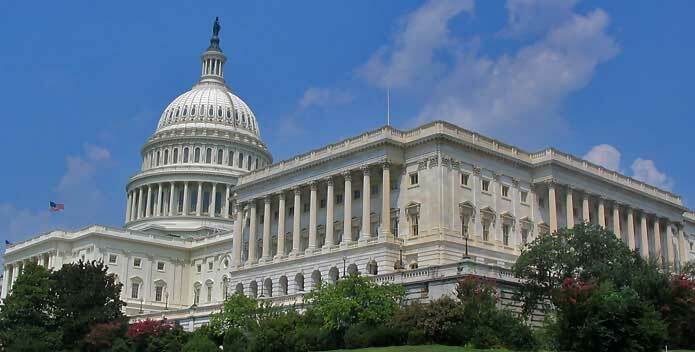 (ANNAPOLIS, MD)—Chesapeake Bay Foundation President William C. Baker today applauded the Senate Appropriations Subcommittee on Interior, Environment, and Related Agencies for fully funding the Chesapeake Bay Program. (ANNAPOLIS, MD)—Chesapeake Bay Foundation President William C. Baker issued this statement concerning legislation introduced today by Senator Chris Van Hollen and co-sponsored by Senators from across the watershed. 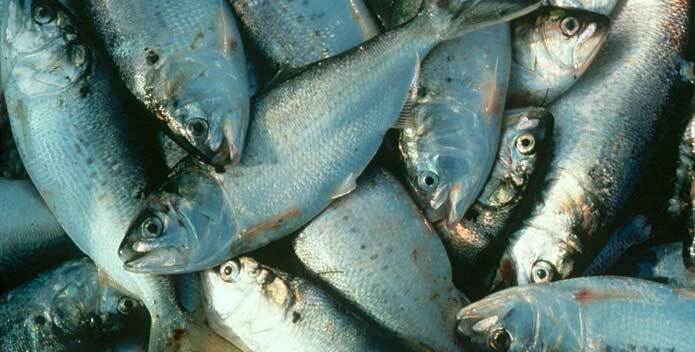 (LINTHICUM, MD)—The Atlantic States Marine Fisheries Commission’s Menhaden Management Board took the following actions on Monday and Tuesday. 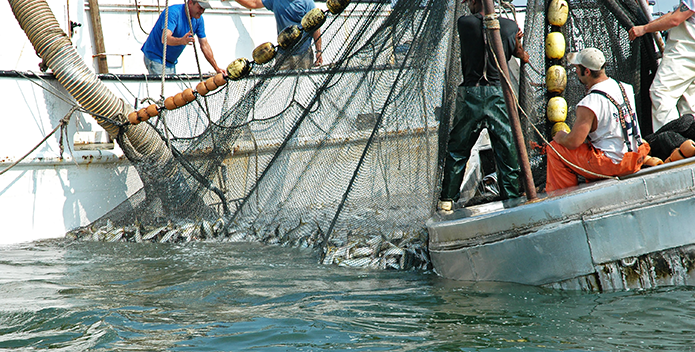 (LINTHICUM, MD)—The Atlantic States Marine Fisheries Commission’s Menhaden Management Board today voted to continue with the status quo for managing the menhaden fishery rather than immediately adopt limits that would take into account menhaden’s role in the food chain. (ANNAPOLIS, MD)—Chesapeake Bay Foundation President William C. Baker issued this statement concerning the rollback of the Clean Power Plan. 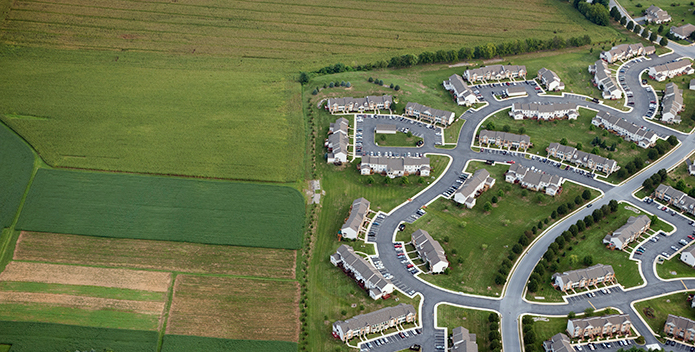 (ANNAPOLIS, MD)–The Chesapeake Bay Foundation, in partnership with Quantified Ventures and with support from The Kresge Foundation and other funders, is inviting municipalities in Pennsylvania, Maryland, and Virginia to participate in a pilot project to implement natural solutions that reduce urban/suburban runoff that damages local rivers, streams, and the Chesapeake Bay. (ANNAPOLIS, MD)--Kim Coble, Chesapeake Bay Foundation Vice President for Environmental Protection and Restoration, issued this statement following the passage of Congressman Goodlatte’s amendment to H.R. 3354, the Department of the Interior, Environment, and Related Agencies Appropriations Act 2018. (ANNAPOLIS, MD)—Chesapeake Bay Foundation President William C. Baker issued this statement concerning EPA’s decision to eliminate funding for the Bay Journal. 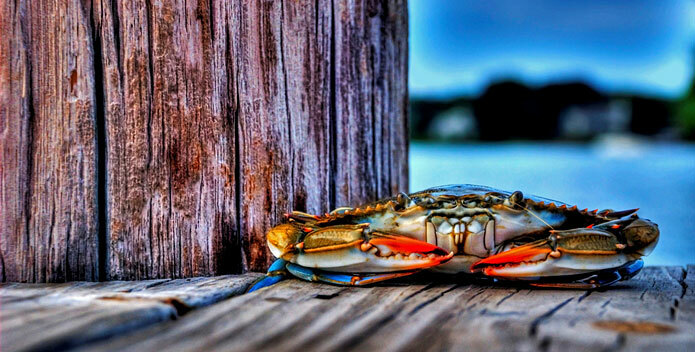 (ANNAPOLIS, MD)—Chesapeake Bay Foundation (CBF) President William C. Baker and Beth McGee, CBF’s Director of Science and Agricultural Policy, issued these statements concerning the results of the early July dead zone cruise in Maryland. (ANNAPOLIS, MD)--On June 30, U.S. 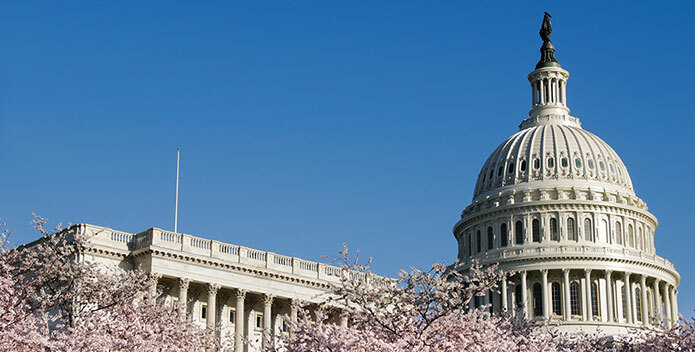 Senator John Barrasso (R-WY), chairman of the Senate Committee on Environment and Public Works (EPW), joined with Senators Ben Cardin (D-MD), Shelley Moore Capito (R-WV), Amy Klobuchar (D-MN), John Boozman (R-AR), and Tammy Baldwin (D-WI) to introduce S. 1514, the Hunting Heritage and Environmental Legacy Preservation (HELP) for Wildlife Act. (ANNAPOLIS, MD)--Chesapeake Bay Foundation Vice President Kim Coble issued this statement following EPA and the U.S. Army Corps of Engineers announcement that they are proposing a rule to rescind the Clean Water Rule and revert to a previous definition of "waters of the United States." (ANNAPOLIS, MD)—The Chesapeake Bay Foundation's assessment of progress made implementing milestone commitments in 2016 found Maryland and Virginia largely on track to meet commitments for reducing pollution and Pennsylvania falling significantly short in reducing nitrogen pollution. 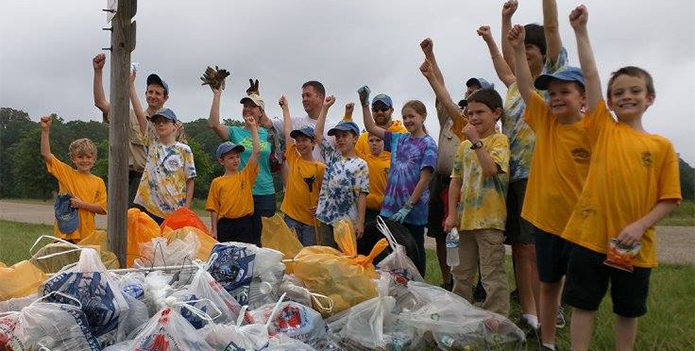 (ANNAPOLIS, MD)—Today, Chesapeake Bay states called with one voice for continued federal partnership in the Bay cleanup. 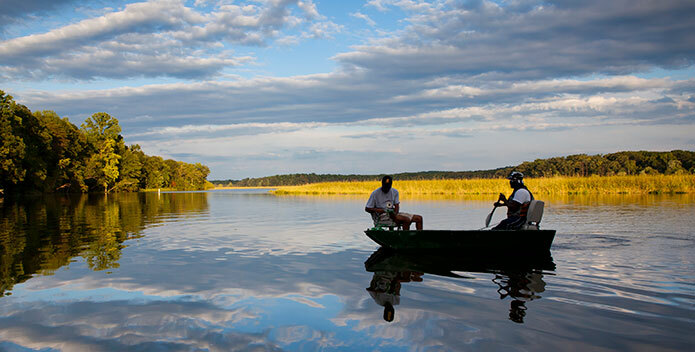 The Governors who make up the Chesapeake Bay Executive Council took courageous, bipartisan action to lead the fight against the Trump Administration's proposal to eliminate the Chesapeake Bay Program in the next fiscal year. (ANNAPOLIS, MD)—Today, the Trump Administration released the details of its fiscal year 2018 budget for the Environmental Protection Agency, which proposes to zero out funding for the Chesapeake Bay Program, the Great Lakes, and other EPA Geographic Programs. (ANNAPOLIS, MD)—Chesapeake Bay Foundation President William C. Baker issued this statement after Congress approved funding in support of Chesapeake Bay restoration efforts for the remainder of the 2017 fiscal year. (ANNAPOLIS, MD)—Chesapeake Bay Foundation Vice President Kim Coble issued the following statement regarding reports that the Trump Administration has proposed opening areas of the Atlantic coast to offshore oil and gas drilling. 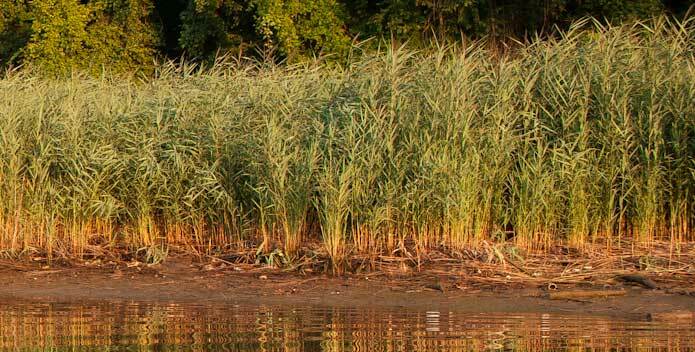 (ANNAPOLIS, MD)—The Chesapeake Bay Program today released the results of the 2016 Bay grasses survey, which found a new record number of acres of habitat essential for many of the Bay's living creatures. (ANNAPOLIS, MD)—Chesapeake Bay Foundation President William C. Baker issued the following statement on the importance of maintaining a federal partnership as the Bay continues to improve. (ANNAPOLIS, MD)—Chesapeake Bay Foundation President William C. Baker issued the following statement concerning President Trump's proposed budget, which eliminates funding for the Chesapeake Bay Program. (ANNAPOLIS, MD)—Following reports in the Washington Post today of the federal Office of Management and Budget (OMB) proposal to cut Environmental Protection Agency (EPA) funding in support of the Chesapeake Bay Clean Water Blueprint, Chesapeake Bay Foundation President William C. Baker issued the following statement. 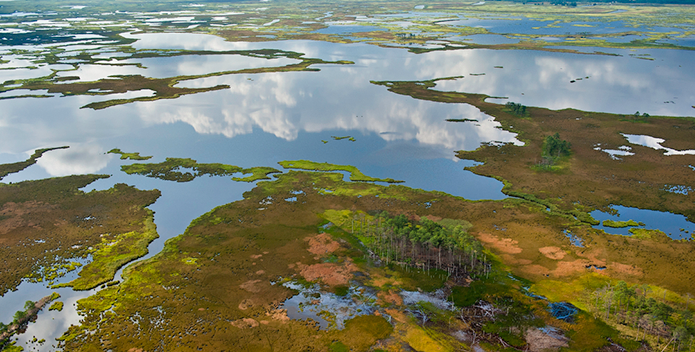 (ANNAPOLIS, MD)—Chesapeake Bay Foundation President William C. Baker issued this statement following the testimony of EPA Administrator nominee Pruitt concerning Bay restoration efforts. 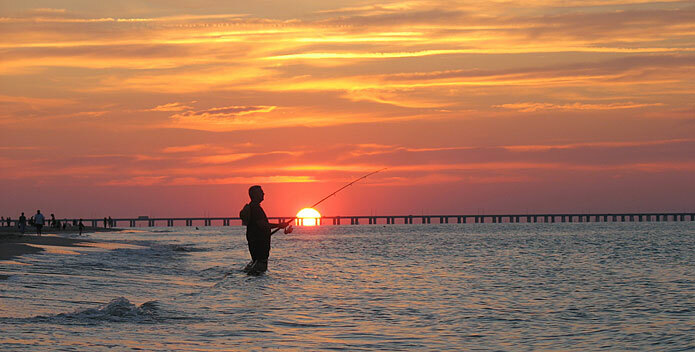 (ANNAPOLIS, MD)—The health of the Chesapeake Bay improved two points (six percent) this year to 34, equivalent to a C-, according to the Chesapeake Bay Foundation's (CBF) biennial State of the Bay report. 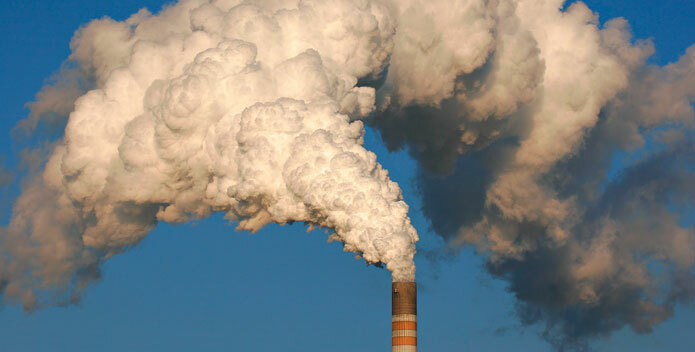 (ANNAPOLIS, MD)—A study commissioned by the Chesapeake Bay Foundation concludes that living near the Wheelabrator trash incinerator in Baltimore is similar to living with a smoker, at least for some children, senior citizens and others with sensitive lungs. 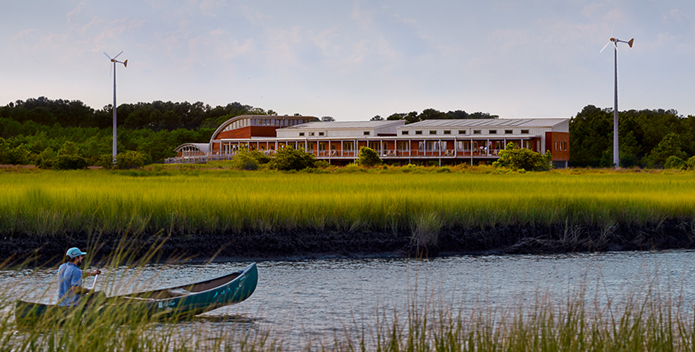 (WASHINGTON, DC)—The Chesapeake Bay Foundation announced today that it will honor Washington College in Chestertown, Maryland, for its leadership and commitment to educating the next generation of Chesapeake Bay leaders. 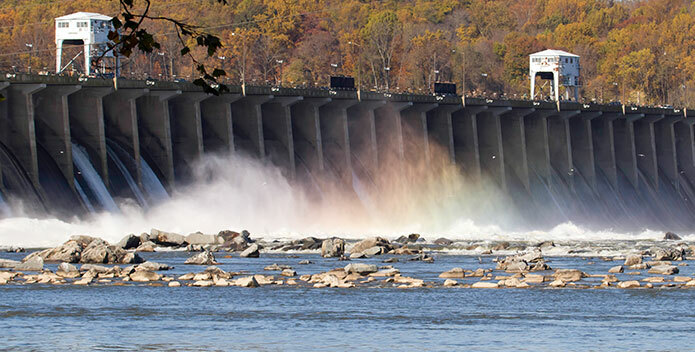 (ANNAPOLIS, MD)—A new study commissioned by the Chesapeake Bay Foundation and The Nature Conservancy shows Exelon Generation Company can mitigate a substantial portion of environmental impacts caused by its Conowingo Dam operation, while continuing to make a healthy profit. 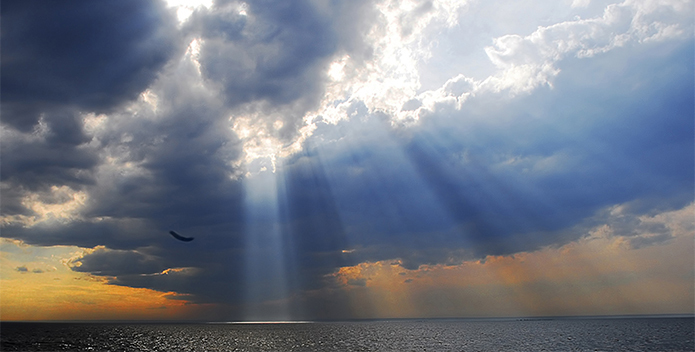 (ANNAPOLIS, MD)–The Chesapeake Bay Foundation and six regional and national groups concerned with human health and a clean environment today filed suit against the U.S. Environmental Protection Agency. 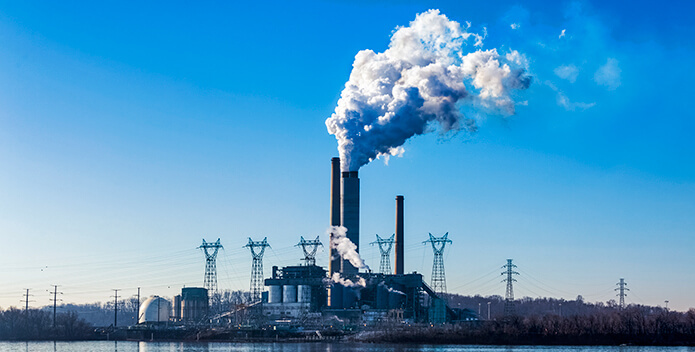 The organizations want federal action to stop 19 out-of-state power plants from harming Marylanders and the Chesapeake Bay. (ANNAPOLIS, MD)—Jon Mueller, Vice President of Litigation at the Chesapeake Bay Foundation, issued this statement after Maryland filed a lawsuit today against the U.S. Environmental Protection Agency for failing to respond to the state’s petition for action against 19 upwind power plants. 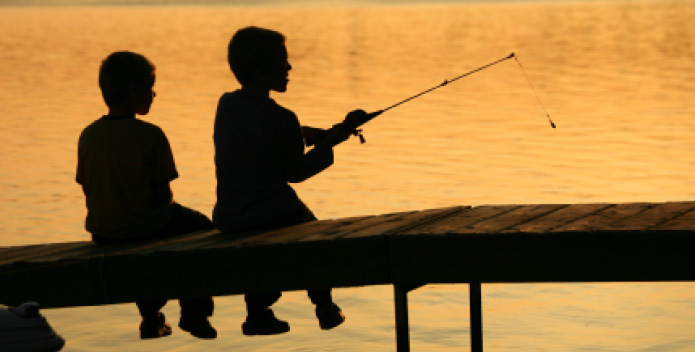 BALTIMORE, MD—Participating Eastern Shore counties and towns will share the services of a pollution reduction expert just as rural churches used to share a circuit rider clergy, thanks to an innovative grant awarded today by the National Fish and Wildlife Foundation. 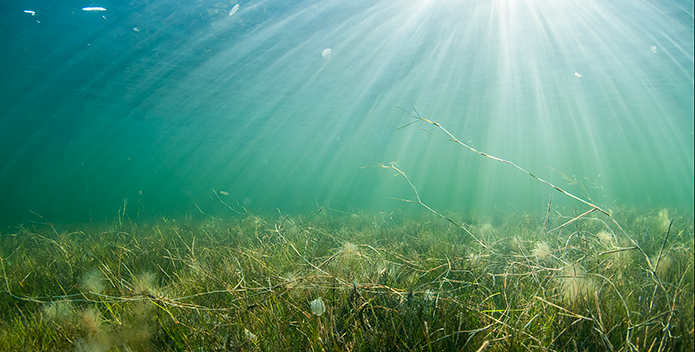 (ANNAPOLIS, MD)—Beth McGee, Chesapeake Bay Foundation Director of Science and Agricultural Policy, issued this statement following release of results from the Early August Hypoxia Report. 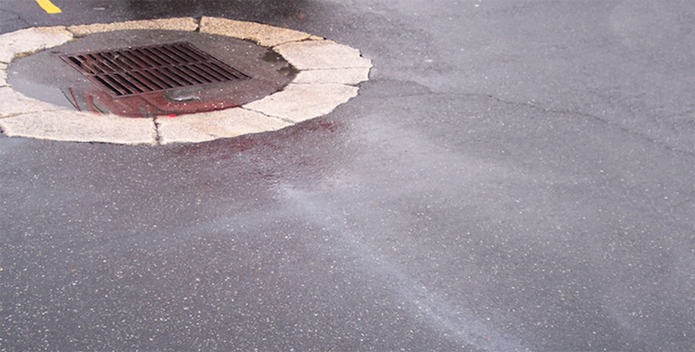 (ANNAPOLIS, MD)—Alison Prost, Maryland Executive Director of the Chesapeake Bay Foundation, issued this statement today following a vote by the Baltimore Board of Estimates to approve a modified consent decree with the U.S. Environmental Protection Agency, the U.S. Department of Justice, and the Maryland Department of the Environment to reduce sanitary sewer overflows in the city. 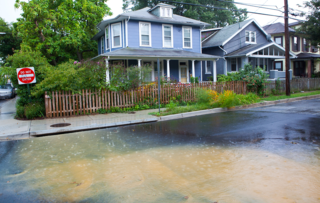 (ANNAPOLIS, MD)—The Environmental Protection Agency this week announced that it has approved a $303 million plan for 36 clean water projects in Maryland. (ANNAPOLIS, MD)—Jon Mueller, Vice President of Litigation at the Chesapeake Bay Foundation, issued this statement following Maryland’s notification today that it plans to file a lawsuit against the U.S. Environmental Protection Agency for failing to respond to the state’s petition for action against 19 upwind power plants. (ANNAPOLIS, MD)—Erik Fisher, Maryland Land Use Planner for the Chesapeake Bay Foundation, issued this statement following votes by Commissioners Murphy, Robinson, and Stewart to adopt Watershed Conservation District zoning that will prevent excessive development and help protect clean water in Mattawoman Creek. 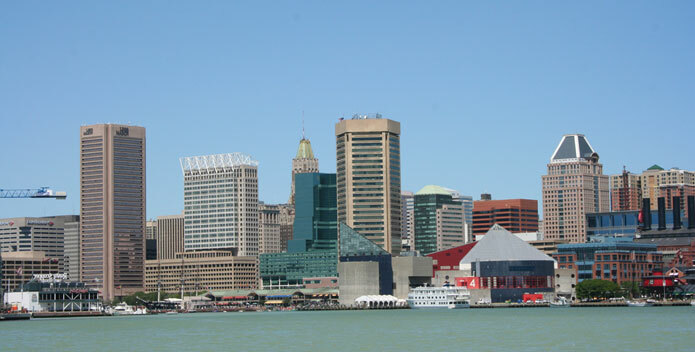 (BALTIMORE, MD)—A surging number of business representatives, students and other volunteers have successfully raised thousands of oysters in the Inner Harbor as part of the Great Baltimore Oyster Partnership. 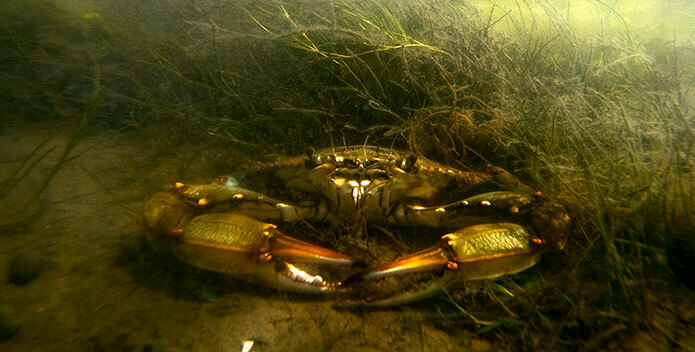 (RICHMOND, VA)—Chris Moore, Senior Scientist at the Chesapeake Bay Foundation, issued this statement today following the release of the annual Winter Crab Dredge Survey in Maryland and Virginia. (ANNAPOLIS, MD)—Allison Colden, Maryland Fisheries Scientist with the Chesapeake Bay Foundation, issued this statement following the release today of reports outlining the progress made by Maryland and Virginia in recent years to increase significant acreage of oyster reefs. (ANNAPOLIS, MD)—Alison Prost, Maryland Executive Director of the Chesapeake Bay Foundation, issued this statement today on HB 924 becoming law. (ANNAPOLIS, MD)—An overwhelming majority of Maryland voters across party lines support maintaining existing Chesapeake Bay oyster sanctuaries, according to a poll by a bipartisan research team commissioned by the Chesapeake Bay Foundation (CBF). (ANNAPOLIS, MD)—Alison Prost, Maryland Executive Director of the Chesapeake Bay Foundation, issued this statement today following the release of a draft plan to change the way oysters are managed in Maryland. 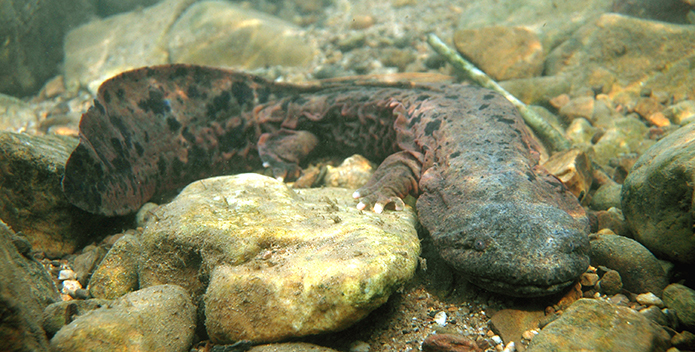 (HARRISBURG, PA)—A group of high school students concerned about clean water and a slippery critter, along with a vote this week in the state Senate, have put North America's largest salamander one step closer to becoming Pennsylvania's official state amphibian. 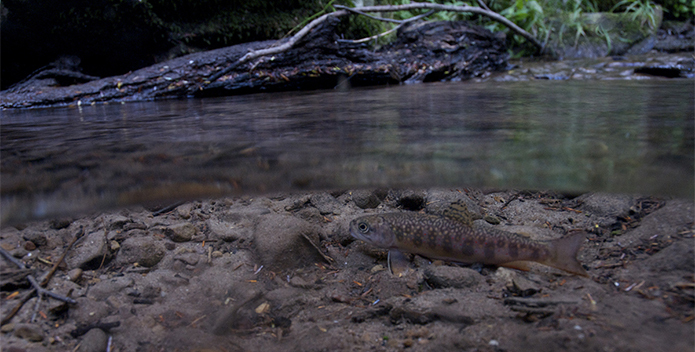 (HARRISBURG, PA)-Harry Campbell, executive director for the Chesapeake Bay Foundation in Pennsylvania, issued this statement applauding National Fish and Wildlife Foundation grants totaling more than $5.7 million to local communities clean up and restore polluted rivers and streams. CBF Has Concerns in the Wake of the Proposed "Taxpayers' Budget"
(HARRISBURG, PA)--Harry Campbell, executive director for the Chesapeake Bay Foundation in Pennsylvania, issued this statement in response to a "Taxpayers' Budget" proposed by some Republican lawmakers in the state House of Representatives. (HARRISBURG, PA)—The Chesapeake Bay Foundation (CBF) has named Molly Cheatum as its Pennsylvania Watershed Restoration Program Manager. 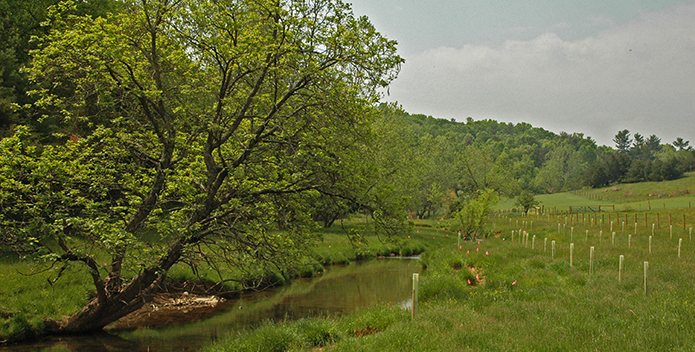 "We're excited to have Molly leading our efforts to develop diverse and pioneering approaches for accelerating our efforts to restore Pennsylvania's rivers and streams," said CBF's Pennsylvania Executive Director Harry Campbell. 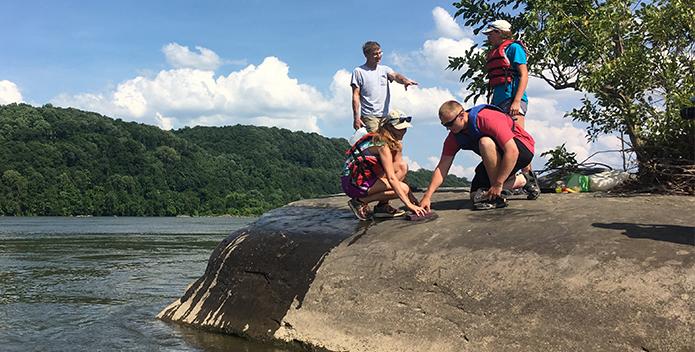 (HARRISBURG, PA)–After a short canoe paddle down the river on a hot Monday afternoon, Emma Stone wiped a wet sponge over the stone surface beneath her feet to reveal an ancient Native American carving on a huge group of rocks in the Susquehanna. 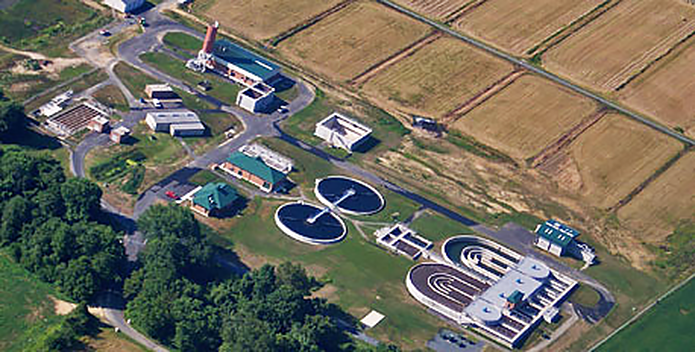 (HARRISBURG, PA)--As a new state budget continues to take shape, the Chesapeake Bay Foundation's Pennsylvania Executive Director Harry Campbell issued the following statement urging continued investments in agricultural efforts that benefit clean water. 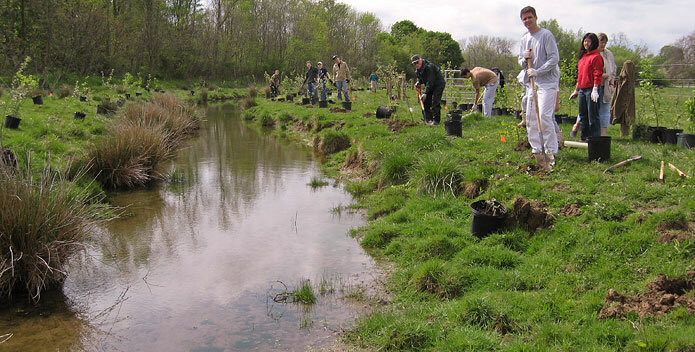 (HARRISBURG, PA)–The Chesapeake Bay Foundation will receive an innovative federal grant designed to put conservation practices on farms that will allow municipalities to satisfy stormwater pollution reduction requirements and return profits to capital investors. (HARRISBURG, PA)—State Senator Gene Yaw (R-23rd) would like to introduce colleagues at the Capitol to his slippery, spongelike friends and students who care about them. 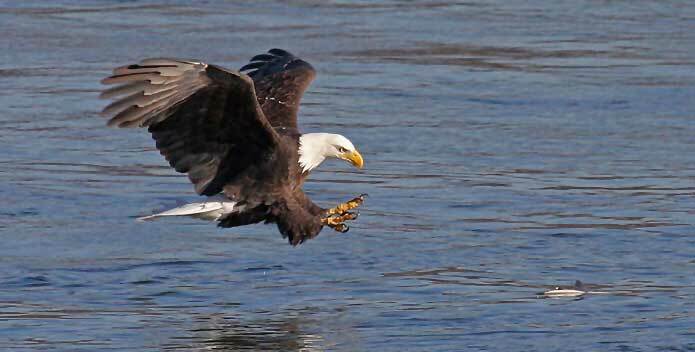 (HARRISBURG, PA)—The Chesapeake Bay Foundation's (CBF) Pennsylvania Executive Director Harry Campbell issued the following statement applauding Governor Tom Wolf's commitment to clean water for the Commonwealth and the Chesapeake Bay. 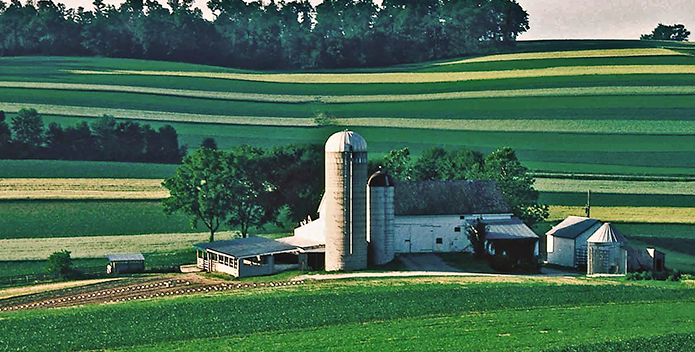 (HARRISBURG, PA)—The Chesapeake Bay Foundation's (CBF) Pennsylvania Executive Director Harry Campbell issued the following statement after CBF joined 500 other organizations nationwide, in signing a letter urging congressional leaders on the Budget and Appropriations committees to reject calls for cuts to Farm Bill programs. (HARRISBURG, PA)—The Chesapeake Bay Foundation (CBF) has named Emily Thorpe as its Student Leadership Coordinator in Pennsylvania. (HARRISBURG, PA)—The Chesapeake Bay Foundation (CBF) today issued the following statement from Pennsylvania Executive Director Harry Campbell, in response to Governor Tom Wolf's $32.3 billion General Fund budget proposal for fiscal year 2017-18. 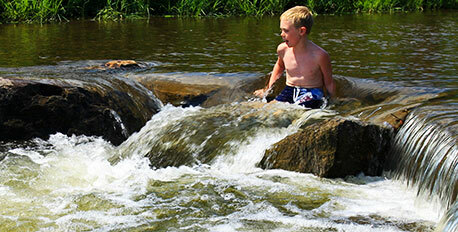 (HARRISBURG, PA)—Harry Campbell, executive director for the Chesapeake Bay Foundation (CBF) in Pennsylvania, issued this statement in support of the concept of a water use fee that would go toward reducing pollution in the Commonwealth's rivers and streams. (HARRISBURG, PA)—The Chesapeake Bay Foundation (CBF) has named Lane Whigham as its Pennsylvania Outreach and Advocacy Manager. (ROANOKE, VA)—U.S. District Court Judge Glen E. Conrad has ruled that the stormwater utility fee charged by the City of Roanoke is not a tax, and, therefore, Norfolk Southern Railway Co. is not exempt from the charge. 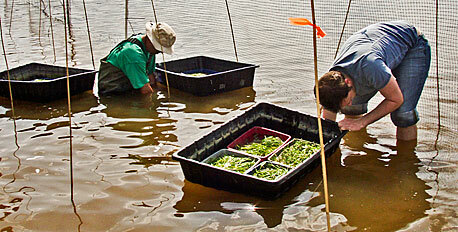 (HAMPTON ROADS, VA)—After a process led by Norfolk District of the US Army Corps of Engineers, the Commonwealth of Virginia named the Lower York and Great Wicomico rivers as its final two oyster restoration sanctuaries. 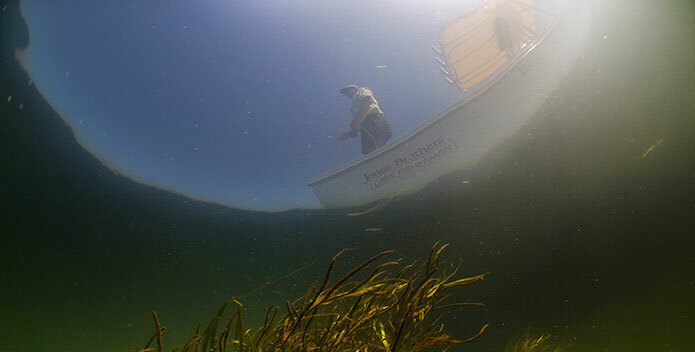 (RICHMOND, VA.)– Volunteers across Virginia can help restore wild underwater grasses with the Chesapeake Bay Foundation’s Grasses for the Masses program by growing them at home, school, or work. (VIRGINIA BEACH, VA)—-Harry Lester, Chairman of the Chesapeake Bay Foundation Board of Trustees, issued the following statement on the passing of his close personal friend Macon Brock this weekend. 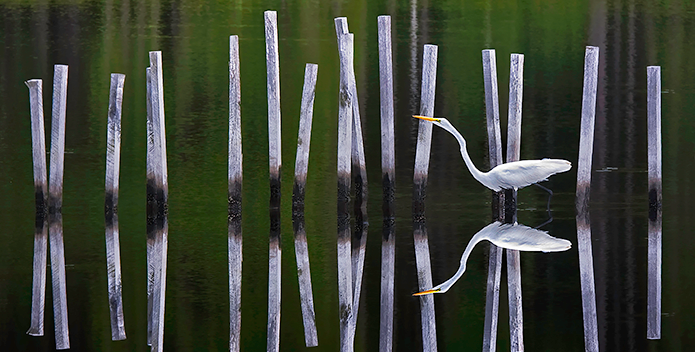 (RICHMOND, VA)—The Chesapeake Bay Foundation is offering a free online workshop on Dec. 13 on how anyone can advocate for clean water and the environment during the upcoming Virginia General Assembly session. (VIRGINIA BEACH, VA)–The Chesapeake Bay Foundation announced today that it will honor Virginia Wesleyan University in Virginia Beach for its leadership and commitment to educating the next generation of Chesapeake Bay leaders. 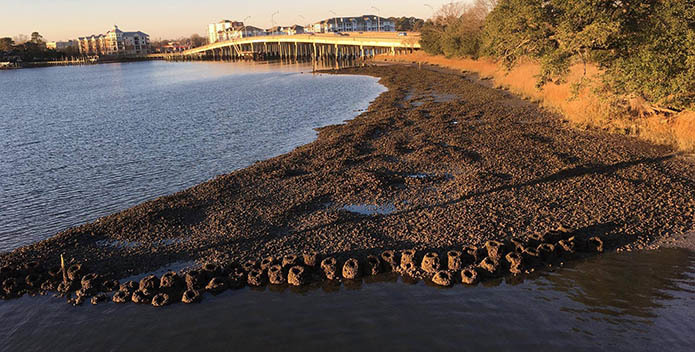 (NORFOLK, VA)–Oysters planted on constructed reefs in the Lafayette River are reproducing and thriving, according to the results of a recent survey by the Chesapeake Bay Foundation. 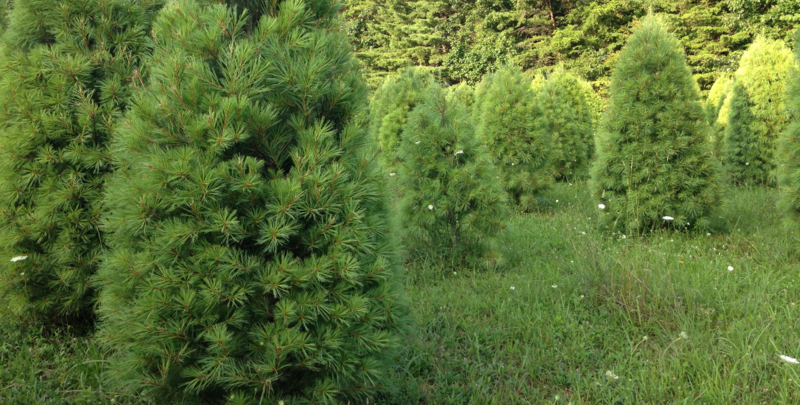 (RICHMOND, VA)–When considering a Christmas tree this season, the Chesapeake Bay Foundation in Virginia urges you to help the environment and local economy by buying a real tree and recycling it after the holidays. 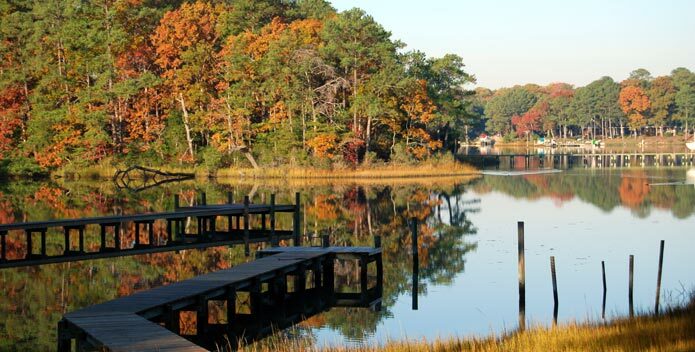 (HOPEWELL, VA)–Volunteers can save trees and native plants by removing invasive species in Hopewell City Park on the morning of Saturday, Dec. 9, with the Chesapeake Bay Foundation and the City of Hopewell. 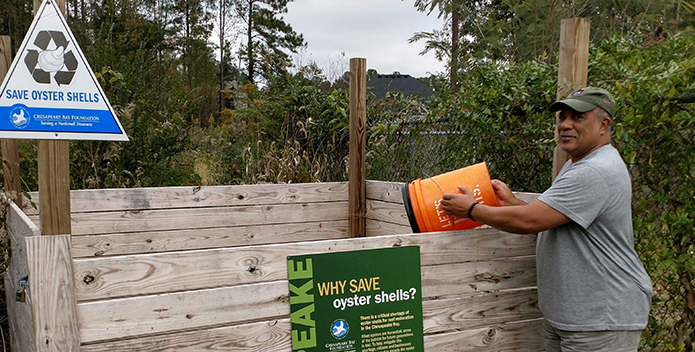 (HAMPTON ROADS, VA)—The Chesapeake Bay Foundation is seeking additional restaurants and volunteers in Hampton Roads to pitch in to restore the native oyster population during Virginia oyster month this November. 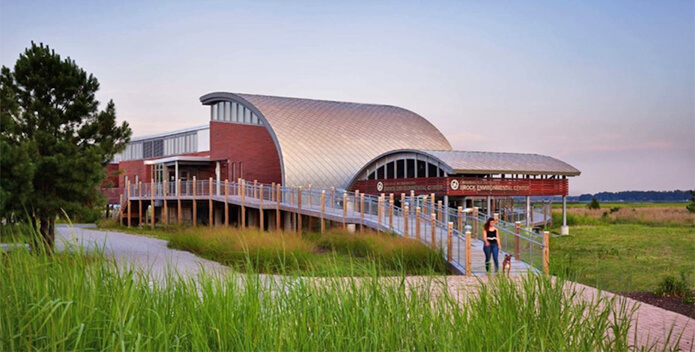 (VIRGINIA BEACH, VA)—As the Chesapeake Bay Foundation's Brock Environmental Center marks its third year, the building continues to surpass expectations for sustainability and has become an environmental hub for the community. 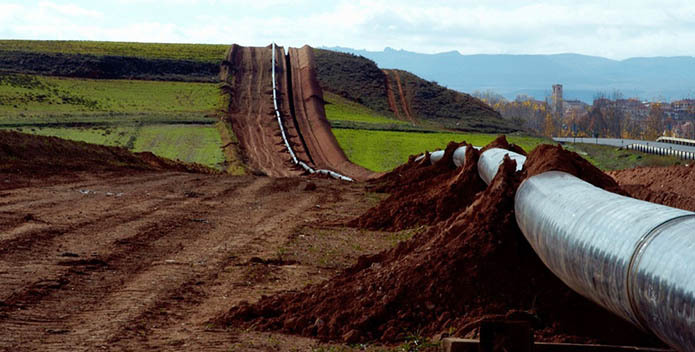 (RICHMOND, VA)—Today, the Southern Environmental Law Center, Chesapeake Bay Foundation, and 19 other organizations and individuals filed a petition with the Federal Energy Regulatory Commission asking the agency to reconsider its approval of the Atlantic Coast Pipeline, which occurred last month in a 2 to 1 vote. (RICHMOND, VA)—Chesapeake Bay Foundation Virginia Assistant Director and Senior Attorney Peggy Sanner issued the following statement on today's elections. (VIRGINIA BEACH, VA)–The Chesapeake Bay Foundation is pleased to announce April Strickland as its new Hampton Roads Director of Major Giving. 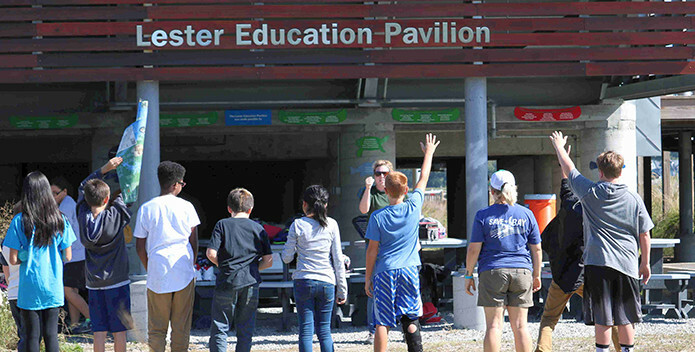 (VIRGINIA BEACH, VA)–Celebrating the fulfillment of a long-term environmental vision, the Chesapeake Bay Foundation this month dedicated the Lester Education Pavilion at CBF's Brock Environmental Center. 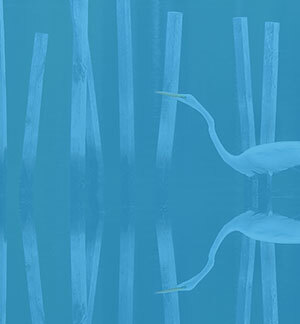 (CULPEPER, VA)–The Chesapeake Bay Foundation and Piedmont Environmental Council are hosting a breakfast discussion in Culpeper on issues facing local streams, rivers, and the Bay ahead of this fall's elections for Virginia’s Governor and House of Delegates. (MOUNT SOLON, VA)—The Chesapeake Bay Foundation (CBF) has an innovative solar powered livestock watering station is now available to lend to farmers on a temporary basis. The mobile unit uses the sun's energy to pump water from any nearby creek or pond to tanks that replenish watering troughs. 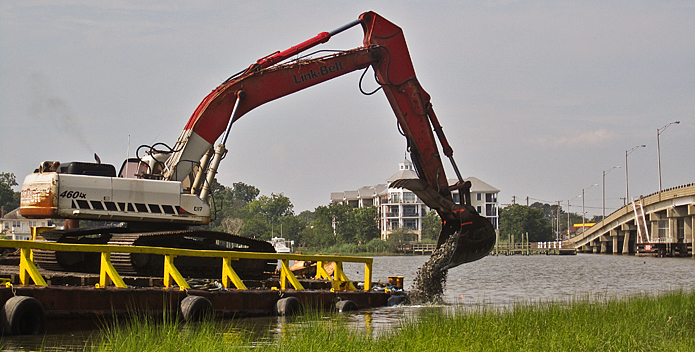 (VIRGINIA BEACH, VA)—The National Fish and Wildlife Foundation (NFWF) today announced a $199,665 Chesapeake Bay Stewardship Fund grant to the Chesapeake Bay Foundation (CBF) and a separate $200,000 grant to the Elizabeth River Project (ERP) for construction of oyster reefs in the Lafayette River in Norfolk. 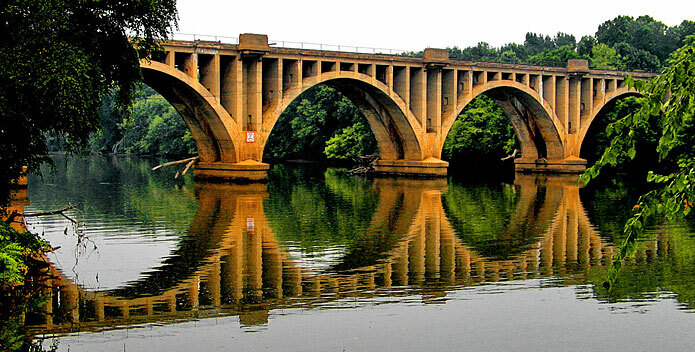 (RICHMOND, VA)–Portions of the Chesapeake Bay, James River, and Rappahannock River are showing promising signs of recovery due to restoration efforts, meeting state standards for dissolved oxygen for the first time since the benchmarks were adopted in 2005. 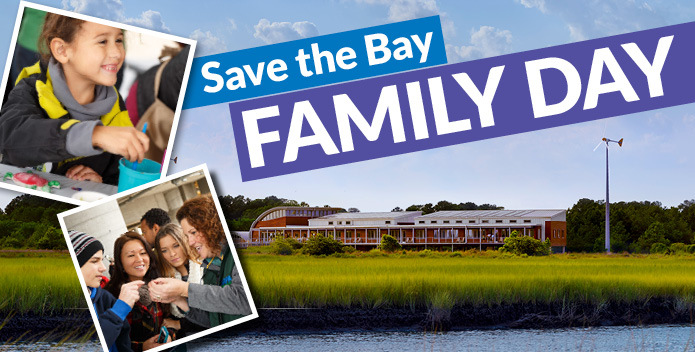 (VIRGINIA BEACH, VA)--The Chesapeake Bay Foundation invites the entire community to Save the Bay Family Day on Sept. 10 at the Chesapeake Bay Foundation’s Brock Environmental Center in Virginia Beach. (VIRGINIA BEACH, VA)—Chesapeake Bay Foundation Senior Scientist Chris Moore issued the following statement regarding the passage of a resolution by the City of Virginia Beach opposing opening areas of the Atlantic Coast to offshore oil and gas drilling. (RICHMOND, VA)—Thousands of volunteers turned out today for the 29th Clean the Bay Day, the Chesapeake Bay Foundation's annual shoreline and stream cleanup and one of the largest volunteer events in Virginia. (RICHMOND, VA)—Today the City of Richmond marked the completion of a multi-year effort to significantly reduce nutrient pollution discharged into the James River by the city's wastewater treatment plant. 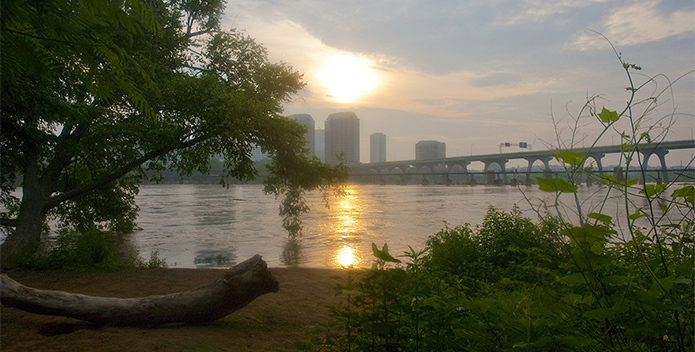 (RICHMOND, VA)—Virginia Governor Terry McAuliffe signed legislation today that will require Alexandria to upgrade its outdated combined sewer system by 2025. (RICHMOND, VA)—Rep. Scott Taylor (R-Virginia Beach) urged full funding for the EPA's Chesapeake Bay Program in a letter yesterday to key House appropriators. 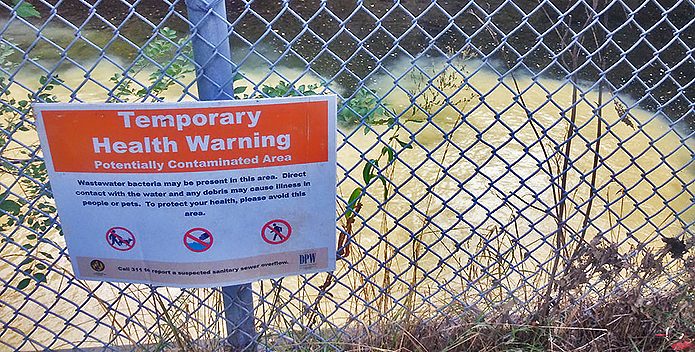 (RICHMOND, VA)—Virginia Governor Terry McAuliffe has proposed giving Alexandria until as late as 2030 to address upgrades to its outdated combined sewer system, which sends untreated sewage into waterways and jeopardizes human health and water quality. 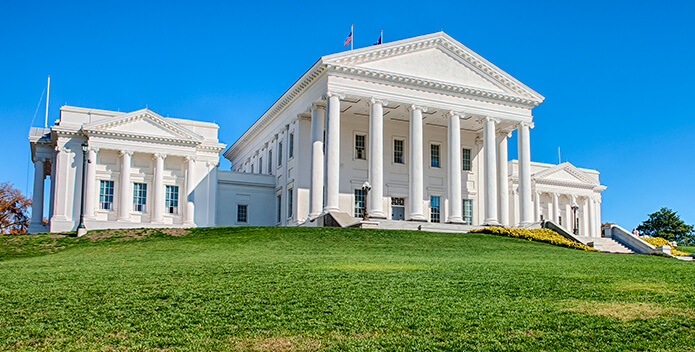 (RICHMOND, VA)—Over the weekend Virginia's legislators approved a budget that includes an investment of about $17 million in fiscal year 2018 in Virginia's agricultural cost-share program. 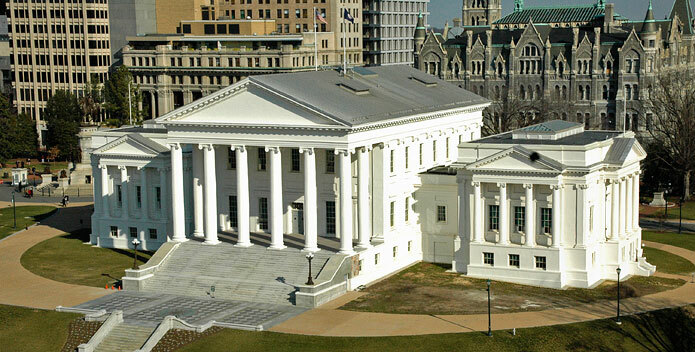 (RICHMOND, VA)—In separate proposed fiscal year 2018 budgets released Sunday, the Virginia Senate Finance Committee and House Appropriations committee both supported funding for the Commonwealth's agricultural cost-share program. 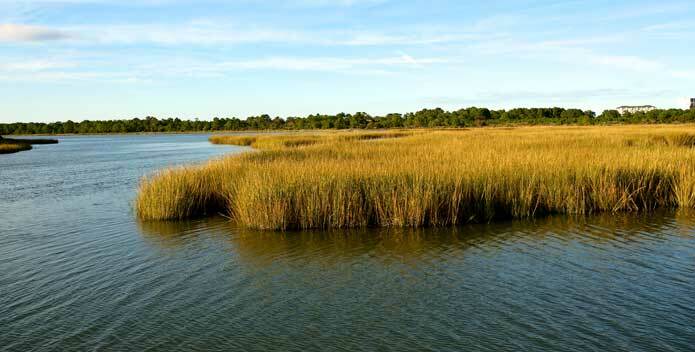 (RICHMOND, VA)—On the floor of the Virginia House of Delegates today, legislators presented the Chesapeake Bay Foundation (CBF) with a resolution commending CBF on its 50th anniversary.